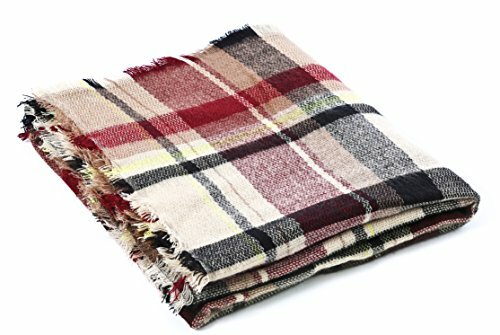 Made by acrylic & cashmere, soft and warm, feel like cashmere. 59″ x 59″(L X W). 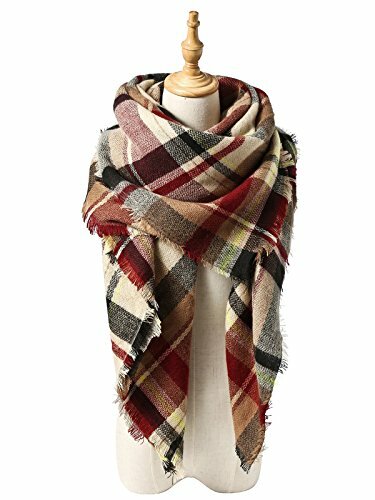 The large winter scarf looks great as a plaid blanket or shawl, so you can wear it as a thick scarf or use it as a shawl poncho, or as throw on knee blanket, even as decoration on a rocking chair for display. Multiple uses, life enjoy. Hand wash, do not bleach, hang dry. 5.The normal arrival time of Expedited shipping by DHL is about 5 working days. American Trends, American Registered Brand. Our company is devoted to making sustainable and good-quality fashion, and keeping improving by continuously listening to our customers’ requirements. You are welcomed to contact us if you have any problem. ⇒ Material: Cashmere & Acrylic, pocho cape scarf, soft as cashmere and warm as fleece. ⇒ Design: Vivid blockcolors, oversize, light but warm. New trending fashion statement of fall and winter seasons. 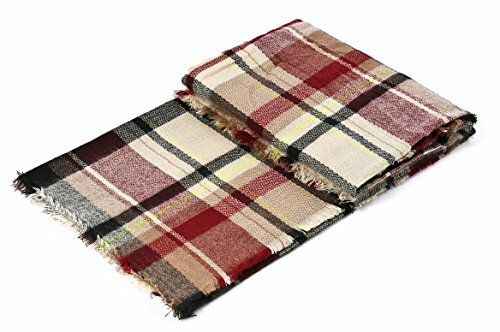 Your outfit can easily match with this nice and chic blanket shawl scarf. 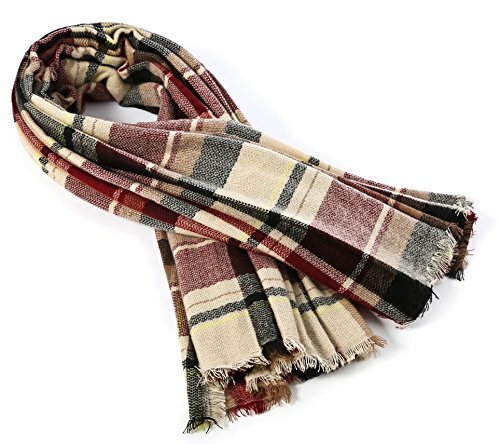 ⇒ Occasion: The oversized wrap scarf is a big square scarf, can be folded in a triangle and wrapped around your neck. 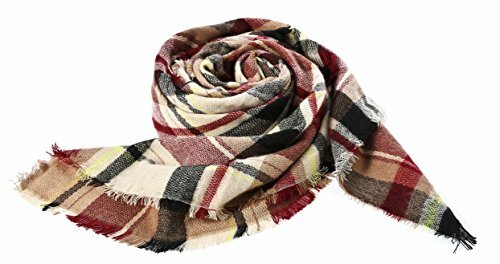 It would be wonderful if you use it as a shawl to attend an evening party, or as wrap when travelling, even as blanket is also a good idea. 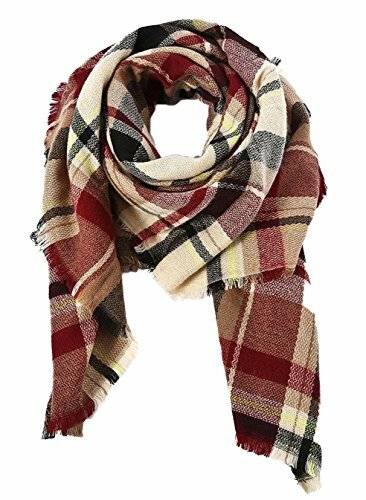 ⇒ Special: Sending this scarf as a warm gift to your friends or families would be a very sweet choice. One scarf that will bring you a lot of fun, here it is. ⇒ ABOUT US: American Trends, American Registered Brand. Our company is devoted to making sustainable and good-quality fashion, and keeping improving by continuously listening to our customers’ requirements. You are welcomed to contact us if you have any problem.